Payment and License: Once you've selected a cartoon, simply license its use by making payment using the PayPal "Add to Cart" button, above, and checking out. You can pay with a credit card or PayPal. See the "How to Get Your Cartoon" section, below. Print Cartoon: $125. 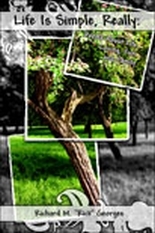 Examples of print cartoon uses are printed newsletters, .printed brochures and other printed materials. Online Cartoon: $100. Examples of online cartoon uses are online newsletters, Web sites and blogs. Presentation Cartoon (Electronic): $60. Examples of electronic presentation cartoon uses are PowerPoint and other electronic presentatons to audiences. Special Requests for Cartoons at Higher Than 72 dpi: $125. All requests for cartoons at resolutions higher than the size of cartoons that appear on the LawComix Web site, 72 dpi, will cost $125, the same as Print Cartoons, as such requests will require my time in sizing and e-mailing the cartoons regardless of use. Other Uses: For all other uses of a cartoon, please contact me at charles[at]lawcomix[dot]com. 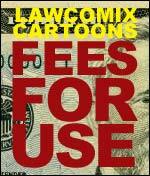 For All Online and Electronic Presentation Uses: After making payment, download the cartoon directly from the LawComix site by right-clicking on it. These cartoons are 72 dpi which is a standard for online and electronic presentations. Your license appears below under "License and Ownership." Please feel free to contact me at charles[at]lawcomix[dot]com. For Print Uses: For print uses of a cartoon, e-mail me a copy of the cartoon (best) or furnish me with the date and a brief description. 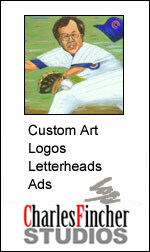 Upon payment, you will receive a 300 dpi, png or tif file of the cartoon via e-mail. Your license appears below under "License and Ownership." E-mail charles[at]lawcomix[dot]com. You are licensing the non-exclusive, single use of a LawComix cartoon. All rights and ownership to all cartoons remain exclusively with Charles Fincher. In return for your payment, you are granted non-exclusive, single use of the cartoon. Yes, you can have your cartoon customized. For example, you can change a name in a caption. The cost for doing so will be based on my estimate of my time required. The minimum additonal fee is $90 added onto the base fee, above. Contact me on this at charles[at]lawcomix[dot]com. You can commission original artwork. I work in pen and ink, acrylics and oils as well as electronic art programs. Click here to see samples of work at Charles Fincher Studios. The minimum project price for commissioned work is $500. 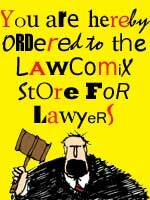 You can purchase framed prints of most of the cartoons in the LawComix Archives. Visit the LawComixStore.com to see how prints look framed and to buy. The store also has shirts and glassware.